For generations, the Honda Accord has been one of the choices for Middletown and Mechanicstown drivers looking for an affordable and reliable four-door vehicle. Its comfortable interior, list of features, and smart-looking design just add to its list of benefits. You can test drive the 2013 Honda Accord right now at Middletown Honda. We realize you’re also probably looking at some of our competitors. The 2013 Kia Optima, another four-door option in the Accord’s class, misses some of the essential options that 2013 Accord Drivers are enjoying. Here’s a look at how the two vehicles match up. Even on higher, similarly priced trim levels, the Accord still has the edge. 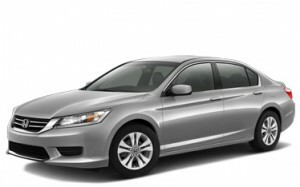 Standard features on the Accord EX like a power moonroof and cargo area tie-downs may make it the better choice for some drivers. Though many average drivers prefer an automatic transmission, there are some strong manual transmission fans out there. Unfortunately, unlike the Accord, the Kia Optima does not have a manual option. A six-speed manual transmission is available on all of the Accord’s trim levels. If you would like to learn more about what the 2013 Accord has to offer, we encourage you to stop by our dealership in Middletown. We’re located at 520 Route 211, just a short five-minute drive from Mechanicstown via Schutt Road and NY-211 East. We’re right next to Gander Mountain and across from Orange County Animal Emergency. If you have any questions, feel free contact our dealership. We’re here to help answer your questions and find the right vehicle for your needs.